Yarn: DK weight, 50 g (1.75 oz). You can also check my video tutorial for how to create this little donut on YouTube. Chain 20. Join the chain with a ss into the first chain. Be careful and please do not twist the chain. You will work in rounds, but do not join at the end of each round. Round 1: Ch 1. Start in the same stitch as you made your ss (joining stitch). Repeat (sc 1, 2 sc) 10 times. = 30 sts. Round 2: Sc 30. = 30 sts. Round 3: Repeat (sc 2, 2 sc) 10 times. = 40 sts. Round 4: Sc 40. = 40 sts. Round 5: Repeat (sc 3, 2 sc) 10 times. = 50 sts. Round 6 – 11: Sc 50. = 50 sts. Round 12: Repeat (sc 3, sc2tog) 10 times. = 40 sts. Round 13: Sc 40. = 40 sts. Round 14: Repeat (sc 2, sc2tog) 10 times. = 30 sts. Round 15: Sc 30. = 30 sts. Round 16: Repeat (sc 1, sc2tog) 10 times. = 20 sts. Ss into the next one. With the color of your choice. Round 1: Repeat (sc 1, 2 sc) 10 times. = 30 sts. Round 6 – 7: Sc 50. = 50 sts. Round 8: Sc 1. Ch 4. Start in the 2nd chain from the hook. Hdc 3. Ss. Sc 3. Ch 7. Start in the 2nd chain from the hook. Hdc 3. Dc 4. Skip 2. Ss. Sc 4. Ch 4. Start in the 2nd chain from the hook. Hdc 3. Skip 1. Ss. Sc 4. Ch 5. Start in the 2nd chain from the hook. Hdc 4. Skip 1. Ss. Sc 6. Ch 4. Start in the 2nd chain from the hook. Hdc 3. Skip 1. Ss. Sc 1. Ch 7. Start in the 2nd chain from the hook. Hdc 2. Dc 4. Skip 2. Ss. Sc 6. Ch 7. Start in the 2nd chain from the hook. Hdc 2. Dc 4. Skip 2. Ss. Sc 4. Ch 3. Start in the 2nd chain from the hook. Hdc 2. Skip 1. Sc 2. Ss into the last one. Now sew the icing on the donut. You can decorate your donuts with beads, glue the yarn stripes on the icing or use the needle and some yarn and make stitches all over the icing as I did. Use your imagination and have fun! These donuts are so cute and really fun to make. If you decide to make your own I would love to see them! 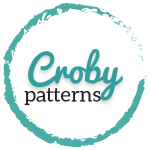 Share your photos on Facebook, Instagram or Twitter and use a #crobypatterns. 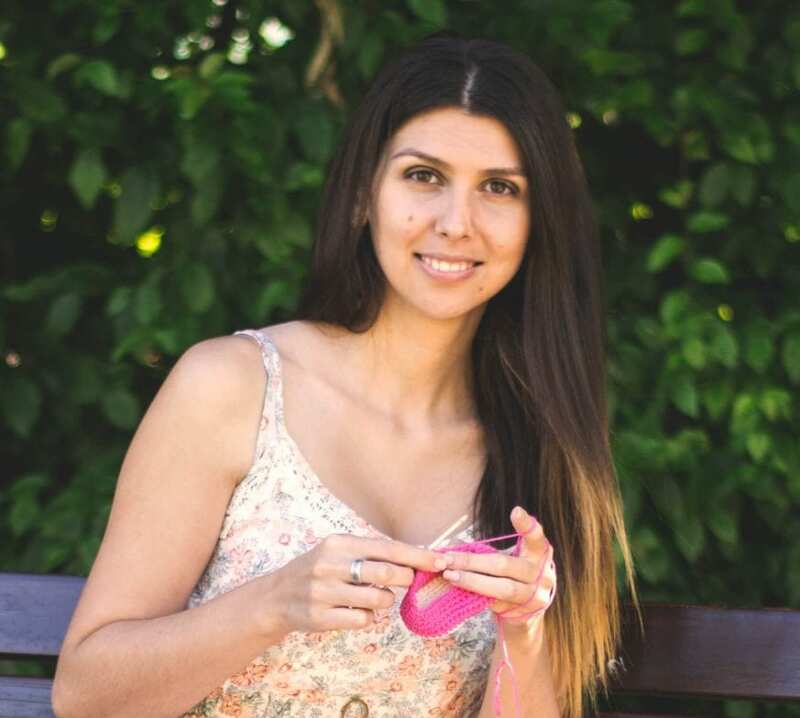 And as always, have a wonderful day and happy crocheting! Thank you! Sweet enough to eat, delicious enough to be inspired to crochet a dozen!!! This is the cutest amigurumi donut I’ve ever seen I had to make it. It came out perfect.